Stunning views, miles of open countryside and brisk fresh air. 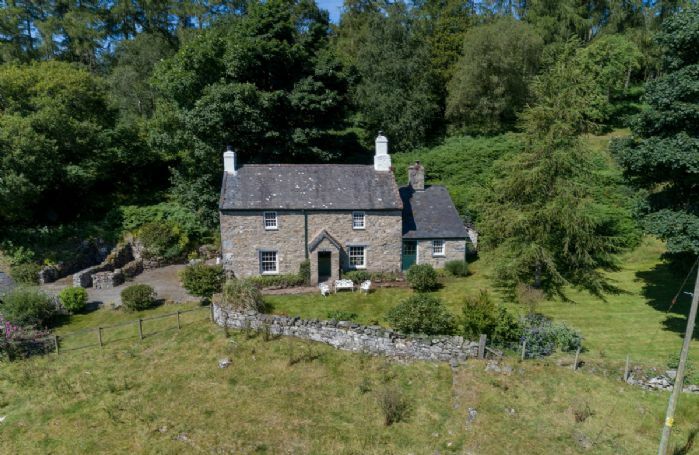 We have a selection of unique cottages which are featured on farmland or were previous working farmhouses available to let as holiday homes. Enjoy an escape to a secluded rural location with the whole family where you can enjoy wide open fields and rolling landscapes as well as quiet evenings under the stars. From Cornwall to Kent to Scotland and Wales, our farmhouse cottages offer a slower pace of life ideal for a relaxing UK holiday. Bringing along the children? Get to know the local wildlife and explore the plethora of activities and attractions that litter the local areas surrounding all our farm based cottages. Whether you're visiting a local park, exploring the farmland or experiencing something more adventurous there's plenty for the whole family. All our cottages feature all the amenities and little extras you would expect of a luxurious holiday. A complimentary welcome hamper will greet you along with the magical experience of staying in a converted barn, farmhouse or a picturesque cottage taken straight out of a fairy-tale. Accommodating a wide variety of group sizes, they make excellent venues not only for family holidays but birthdays, anniversaries, couples and families with dogs. Just fantastic. Will be rebooking very soon. Thank you so much, our very grateful thanks to Hilary & Tony for making us feel so very welcome, we spent a wonderful CHRISTMAS 2017 at Downclose Piggeries. The most perfect accommodation in every way, such comfortable sofas, log burning fire so warm and cosy, beautiful location and fantastic welcome hamper.....wonderful added touches too.....!! Thank you again for making this a special week. Overall the property was very good with everything supplied for our stay. The welcome hamper was excellent and the property was well presented and clean. However there was a small outbreak of flies the evening we arrived which we had to deal with and the shower drain blocked on first use but then seemed to clear on second use. Otherwise everything was great. Thank you for your lovely feedback for Downclose Piggeries. Unfortunately cluster flies are a problem that many of our properties, throughout the uk, have been experiencing this Autumn/Winter. It is made worse by the good weather we have had which is having a delaying effect on the flies hibernating. Beautiful cottage and surroundings. Very clean and comfortable cottage. Peaceful. Another lovely review for Downclose Piggeries, thank you so much. Wonderful cottage, of the highest standard our 2nd visit, shall come again! Very nice quiet accomodation with everything to an excellent standard. Could not be faulted. Thank you for your feedback for Downclose Piggeries. We are delighted that you thought the property was faultless. Super cottage with every conceivable amenity. 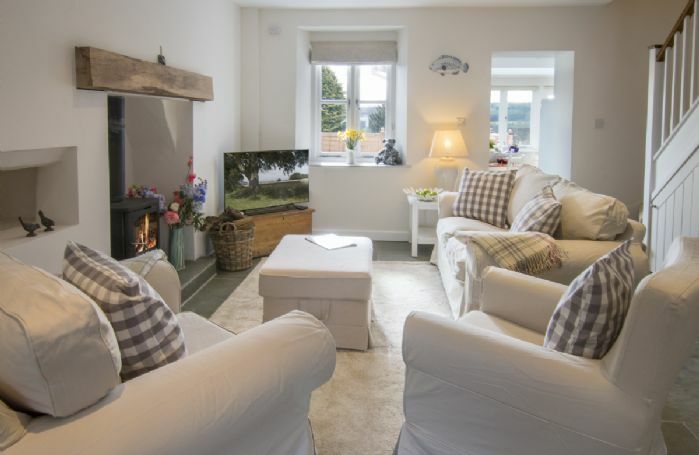 The cottage is equipped to a very high standard with very tasteful decor and furnishing. One small criticism, the cutlery does not fit in the dishwasher basket unless you take the lid off! More seriously, the doorway from sitting room to patio has a surprisingly low lintel which my companion who is not particularly tall cracked her head on very painfully. Perhaps a little warning notice would not spoil the look of the room? One final comment: the property is described as being in Dorset but North Perrott, we discovered, is in South Somerset!! Despite the above comments it is definitely a five star property. Excellent property with wonderful location. Beautifully clean and fresh. Delicious hamper. Would definitely visit again. Tony popped in on the first day, we were still reading through the do's and don'ts book. Told him there were no coasters he said Hilary was away. The heating was all over the place, bathroom underfloor on 24hrs + the electric rad was also on, which we did switch off. Thankfully the underfloor heating was off in the bedroom but the central heating did not come on until we turned it up on the last day. We did speak to a man who said he would tell Tony who we eventually spoke to and he turned off the underfloor heating. 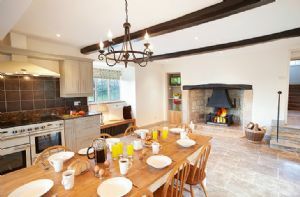 Beautifully appointed cottage and very warm. Everything was spotless. Excellent location for exploring the Dorset coast. Fantastic - we were very well looked after! So quiet there and the owners were very interesting to talk with. Lovely cottage home. Very quiet and immaculate. Had everything we wanted and nice to talk to the owner. Would go back. Well presented and maintained cottage in a very quiet location (though some noise at 4.30am with locals going to work!). Good location for day trips out to Longleat, Cheddar Gorge, Bath and Weston Super Mare. Lacking in outdoor space - no garden and just enough room for a table, chairs and barbeque but permitted access to the adjacent farmland with lots of little woodland trails more than made up for it. Generally very clean, modern and well equipped but needed a little more attention to detail, we found popcorn under a dresser and a disposable cup under a bed. Left 2 sets of towels for 4 person accommodation but this was quickly resolved after leaving a message with the house keeper. The cottage was beautifully decorated and appointed and would have earned 5 stars were it not for the "no alcohol" policy which we thought slightly unnecessary and not made clearer at the booking stage. Lovely cottage but with some odd views on having an alcoholic drink. Was there any particular reason for this? Spotless cottage - everything you needed and more! We loved the cottage.... well equipped & generous accommodation. It’s a great bonus to stay on this lovely estate, there really are miles of paths for you to explore. The cottage is gloriously remote.... the flip side to that is a long & narrow access down single lane roads/tracks. We were happy with this but something to consider if you’re not keen on reversing! Beautiful isolated rural location and very well equipped house. Location extraordinary, cottage so comfortable - staff so helpful and nice. BUT - and we have said this before - the hamper is pretty but hopeless - just not up to standard - we needed coffee not a sachet of it - and orange juice not apple - and then there were not enough dishwashing and washing capsules or liquid - RR really needs a checklist set up at each cottage as we have suggested before. Ik heb hierboven al mijn opmerkingen al geschreven. We were very pleased with the accommodation and the housekeeper was very helpful when we needed it. Gorgeous cottage,just one tiny thing the beds in the twin room were a bit springy....pocket sprung would be better quality. Excellent cottage, immaculate inside. Outside brick path was very slippery when wet and the satellite dish fixed low on a tree trunk was dangerous. A lovely cottage, exactly what we were after, fab location. And spotlessly clean.